Cloud storage is a valuable thing, but many solutions charge exorbitant rates for plans that aren't necessarily flexible. 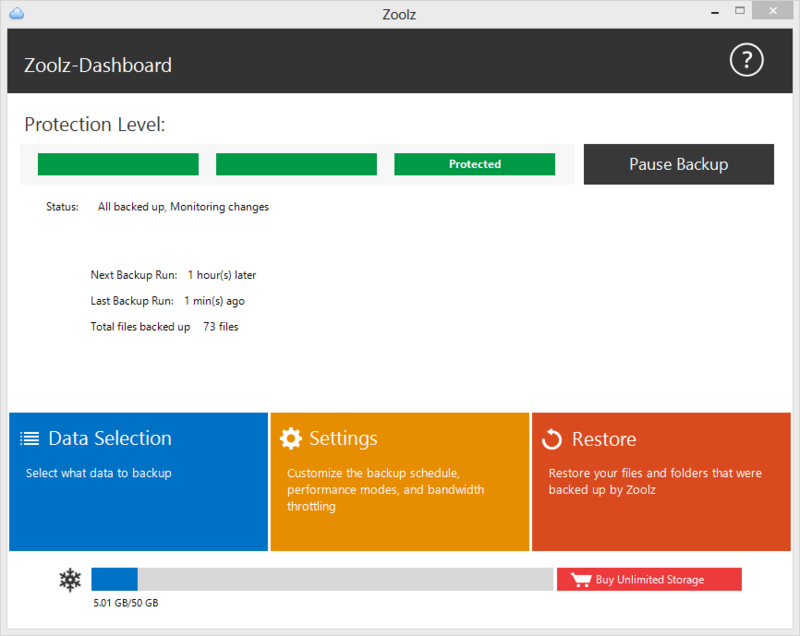 Zoolz presents a smarter way to purchase cloud backup based on tiered solutions geared toward your specific needs, and now you can lock in a lifetime of 1TB of instant storage and 1TB of cloud storage for $49.99 (a single payment). With a subscription to Zoolz, you get lifetime access to both storage platforms, but they function in vastly different ways. Instant storage lets you immediately retrieve information you back up to it, making it handy for files you use often. Cold storage, on the other hand, is better suited for those files you don't plan on accessing often, but if you need to call them up, you can do so in 3 to 5 hours. Zoolz also includes a host of intuitive features, like thumbnail previews, bandwidth throttling, and icon overlay, and you can rapidly sort through and select files you'd like to store with its Smart Selection Tool. A lifetime subscription to Zoolz Cloud Storage retails for $3,600, but TechSpot readers can sign up for $49.99, pay once and you are done.